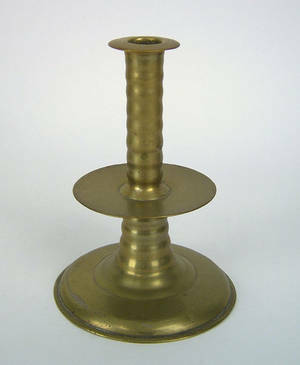 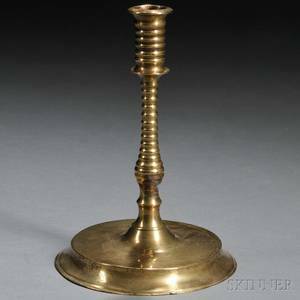 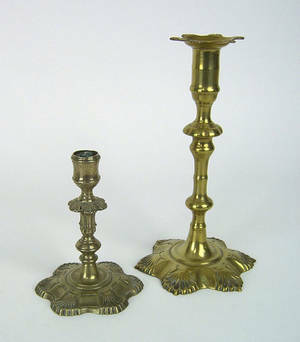 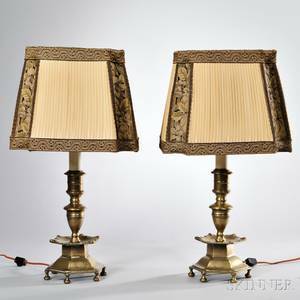 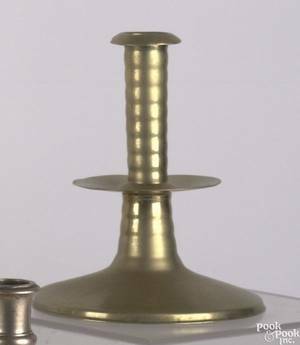 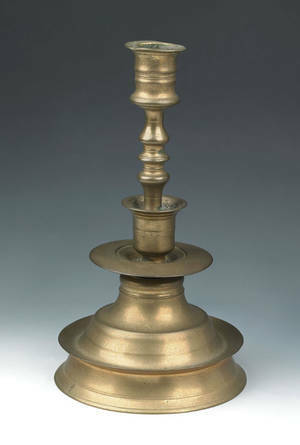 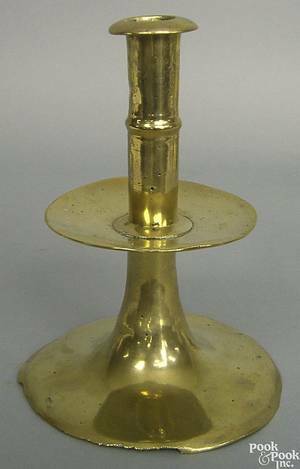 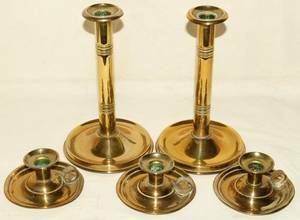 English brass candlestick, ca. 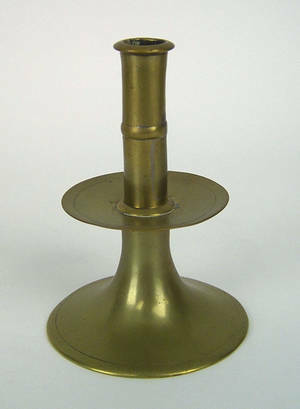 1650 , with trumpet base and mid drip, 6 1/2" h. For a similar example, see Gentile & Feild English Domestic Brass , plate 1. 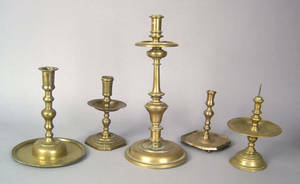 Provenance: Jess Pavey.